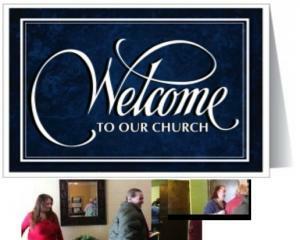 The greeters in God’s church ARE the “gateway” from the world into the service. Greeters help people transition from the world and “worldly experiences” into a service that can prepare them to have “spiritual experiences”. Greeters will exemplify God’s heart for his people by creating an initial atmosphere of welcome for all who come to experience the “Good News” of the Kingdom. The members of the team will exhibit behaviors that demonstrate the sincere and genuine heart of service while simultaneously monitoring the entrance of guests and maintaining a pleasant and appropriate culture in the foyer. Greeters will focus on as many connecting points as possible: right attitude, right spirit, positive facial expressions, smiles, attentiveness and eye contact. Praying with all my heart that I hadn’t come too late. A beautiful human being that I knew was kind and good. As I walked into the service, my heart began to heal. I’ll never, ever forget the way that greeter made me feel.